We've had a long history with Seal laminators. As the factory representatives for Seal for over 35 years, we've sold well over 10,000 laminators in our day. Our entire career has been supporting distributors in their efforts to sell machines into the market and now we are doing it ourselves. 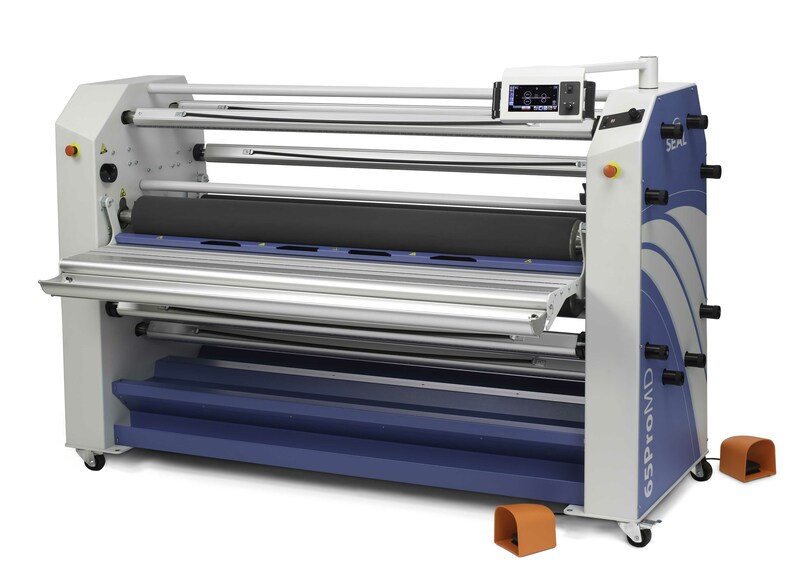 The Seal range of laminators are, simply put, the best out there. Unlike printers, which get faster with more color options every year, laminators have only evolved so far. Keep this point in mind when considering a laminator - if you buy the right one, it will work for 10 or 20 years. Take a hard look at an Asian-built laminator and try to convince yourself that it is going to 'go the distance' in your shop. You'll end up buying 3 of those units in the single lifetime of one Seal.